In conjunction with Providence College—Galleries' inaugural online exhibition, we are pleased to announce Geographically Indeterminate Fantasies: The Animated GIF as Place. Guest curated by critics from the renowned arts blog Art F City , this IRL component will feature a selection of the 25 artists who use animated GIFs to present fully-realized environments. This exhibition serves as both a vision of artists’ new worlds, and as a document of our own reality’s aspirations and anxieties. The show tracks a number of themes: the city as a network of personal and social spaces, the personification of the landscape as avatar, the browser or more broadly, the digital as space, and the ubiquitous battlefield. 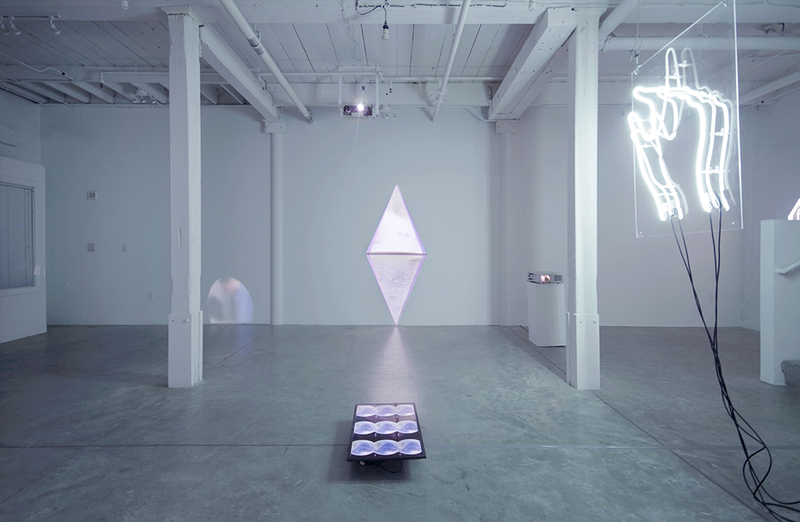 The artists assembled use a variety of techniques to address these subjects ranging from 3D rendered work to collage and video-sourced GIFs. Additionally, Providence College—Galleries, under the advisement of Art F City, commissioned new works for the occasion, all by established artists working in the field—Jonathan Monaghan, Giselle Zatonyl, Brenna Murphy and Clement Valla present landscape GIFs, while artist and writer Claire Evans presents a related reading list. 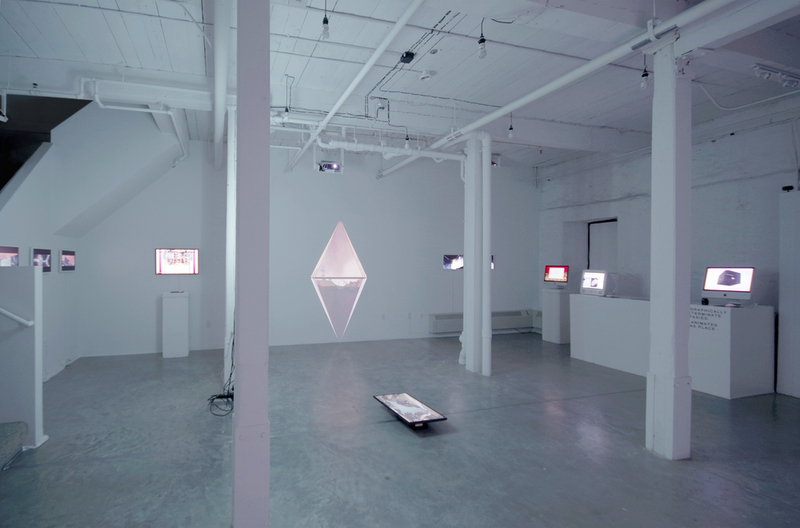 Brenna Murphy, Area Transduce 5, 2015, animated GIF, commissioned by Providence College—Galleries. 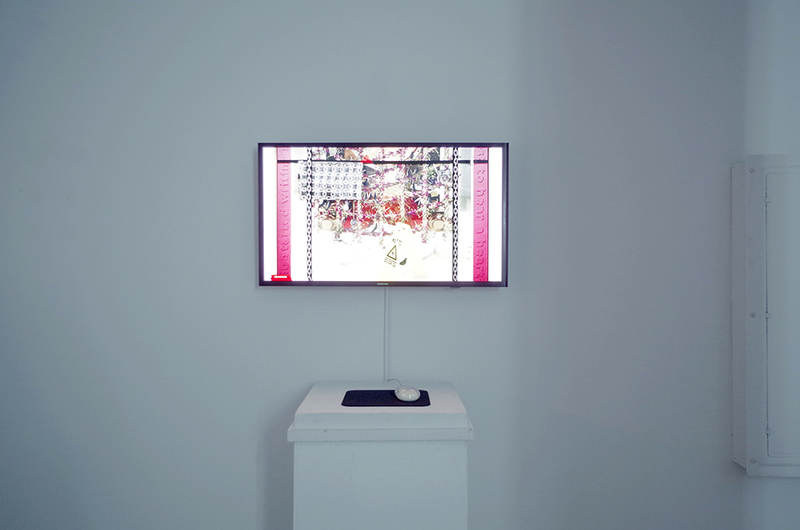 Artists include Peter Burr, Petra Cortright, Milton Melvin Croissant III, Elektra KB, Claire Evans, Victoria Fu, Faith Holland, Dina Kelberman, Kidmograph (Gustavo Torres), Sara Ludy, Lauren Pelc-McArthur, Alex McLeod, Ying Miao, Jonathan Monaghan, Hugo Moreno, Brenna Murphy, Eva Papamargariti, Robby Rackleff, Sam Rolfes, Nicolas Sassoon, Jacolby Satterwhite, Hito Steyerl and Nicolas Linnert, Małgosia Woźnica (V5MT), Wickerham & Lomax, Clement Valla and Giselle Zatonyl. This increased interest in creating new worlds can be linked to a rise in freely available rendering software; it is now easier than ever not only to imagine new worlds, but to also build them online. It is difficult, however, not to also see this approach through the lens of the generational anxieties of their makers: Powerlessness in the face of climate change, a nearly-nomadic lifestyle as a result of gentrification, and the ever-accelerating changes in natural and built environments. As always, art addresses the world around us, and Geographically Indeterminate Fantasies ultimately reflects the challenges and opportunities inherent in artists’ responses. Though Geographically Indeterminate Fantasies is an online exhibition commissioned and built to be experienced via web browser, and more specifically for the PC–G website, GRIN is pleased to present an "In Real Life" component of the exhibition. Partnering with Art F City and PC–G, GRIN will present a month-long installation of a selection of the online exhibition's GIFs within GRIN's white-cube gallery space. The public reception on June 4th, which celebrates the exhibition in both its online and IRL forms, coincides with the opening weekend of PVDFEST and GRIN's three year anniversary and additionally includes a one-night only outdoor installation. The IRL version of the show is curated by Michael Anthony Farley and Paddy Johnson. Clement Valla, Approximate GIFs from Google Earth (46°42'19.50"N, 7° 5'20.26"E), 2015, 1/9 animated GIFs of Google Earth, commissioned by Providence College—Galleries. PC–G presents exhibitions and public programs focusing on contemporary art, innovative artistic practice and interdisciplinary cultural activity. Operating within two gallery spaces as part of the Department of Art & Art History, PC–G supports the liberal arts and community-oriented mission of the College with dynamic visual arts productions, including those that foster audience participation, cross-departmental collaboration at the College and cultural exchange at local, national and international levels. PC–G ultimately strives to produce projects which demonstrate how and why creative practitioners are vital forces in promoting diversity and shaping contemporary global culture. Major support for Geographically Indeterminate Fantasies: The Animated GIF as Place is provided by the Art & Art History Department at Providence College, with additional support from the ADDD Fund administered by the Rhode Island Foundation. Art F City creates and archives critical discourse, and commissions ambitious artist projects. Through a daily mix of blunt criticism, commentary and community-minded journalism, we add an unparalleled dosage of purposeful opinion to the contemporary art community. Art is without a public purpose if it is not tested and understood. To this end, Art F City provides a moderated public forum across comment threads, artist essays, and roundtable criticism. Our nine-year archives provide an extensive historical record of that discourse. Byencouraging a critical and informed audience, our public initiatives fill a critical need for all creative makers. 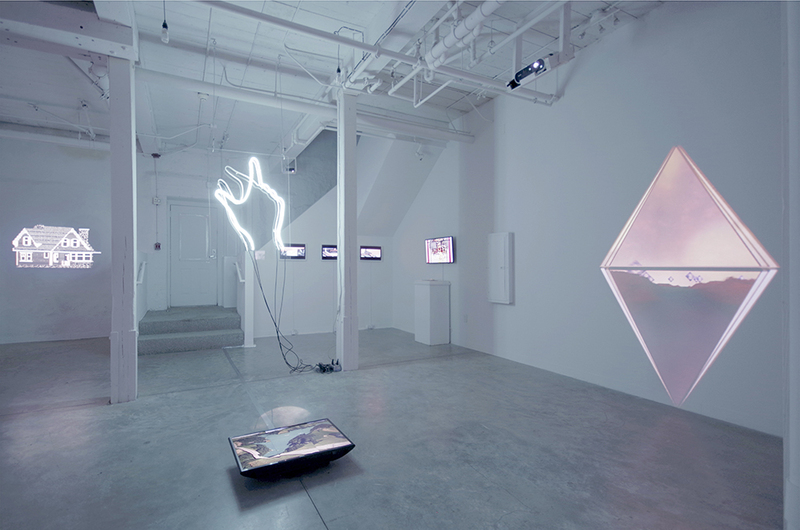 Jonathan Monaghan, Escape Pod, 2016, series of 11 animated GIFs from computer animated HD film “Escape Pod”, commissioned by Providence College—Galleries.